Gwynedd Mercy University | What Type Of Nurse Do You Want To Be? So, you want to be a nurse. Great! Being a nurse speaks to our desire to help, to nurture, and to improve the quality of life for our patients. These traits are as vital to us as is our need to eat and breathe. Nurses in this way, are different than the average person. Since choosing to be a nurse is fundamental to who you are, how do you choose what type of nurse you want to be? Take our seven-question nurse quiz and find out which type of nursing position matches your personality. It may confirm the position you want, or it may help you decide what position to pursue. Registered Nurse – Think of this position as a generalist role that allows you to work in almost any setting, from hospitals to clinics to private practices and more. Nurse Practitioner – NPs are the right hands of doctors; they can diagnose illnesses, prescribe medications, and independently manage patients. Clinical Nurse Specialist – Are just what their name implies; these nurses have a clinical area that they specialize in. Nurse Educator – Nurses who teach and mentor future and current nurses in a formal academic setting. Certified Nurse Midwife – Are specialized Registered Nurses that are involved in elementary gynecology, prenatal care, labor and delivery, and postpartum care. Labor and Delivery Nurse – Their emphasis is on pre and post-childbirth taking care of mothers and babies. Nurse Researcher – Nurses who are on the cutting-edge of discovering new methods and treatments. School Nurse – Covering issues from minor scrapes to educating students on healthy habits these nurses play a vital role in schools. Travel Nurse – These nurses take assignments in different regions for periods of time, which provide a variety of work settings and opportunities. Oncology Nurse – Focuses on patients are at risk of having or do have cancer. You’ve found a nursing role that interests you and fits your personality, what next? Once you have an initial indication of the type of nurse you want to be, be sure to research that role. Speak to nurses about the pros and cons of that position and get their first-hand insights of its day-to-day functions. Making an informed decision of the type of nurse you want to be will set you up for success and high job satisfaction. 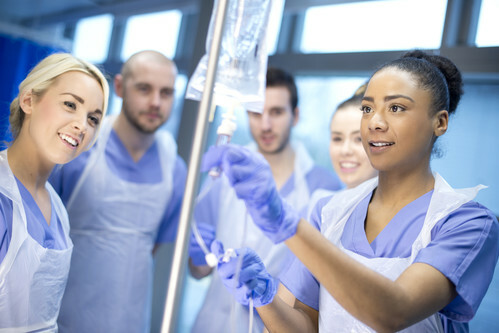 Finding the right nursing school. Gwynedd Mercy University’s Frances M. Maguire School of Nursing and Health Professions has more than five decades of producing innovative, inspired, and top-level nurses. You want to be the best nurse that you can be and GMercyU will help you be that nurse. Learn more about our nursing programs today!